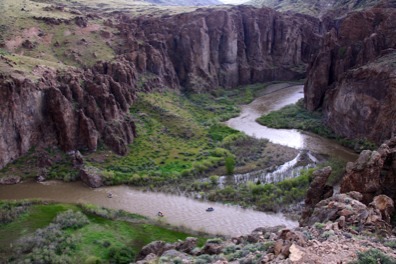 The Bruneau Canyons offer breathtaking scenery and delightful rapids. In the upper part, there are numerous Class III rapids at medium water levels. The 600-foot vertical canyon walls are absolutely outrageous. These walls are beautifully highlighted by Bruneau Flox, an indigienous wildflower. 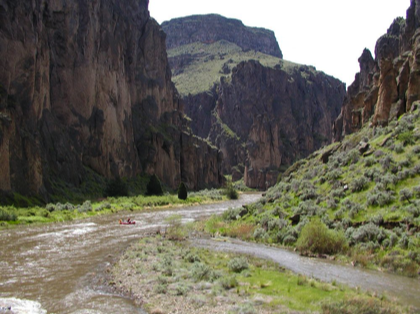 Although many river runners combine a Jarbidge trip with a trip down the Bruneau, it is possible to do just the Bruneau River. It is more convenient since it can be done in two days; but the shuttle is more challenging. Permits are required and available at launch sites. Download here.